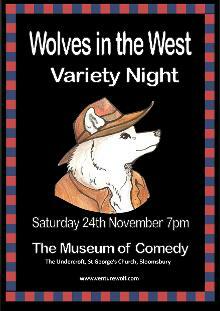 Uniting numerous past Venture Wolf performers for a variety night at The Museum of Comedy. 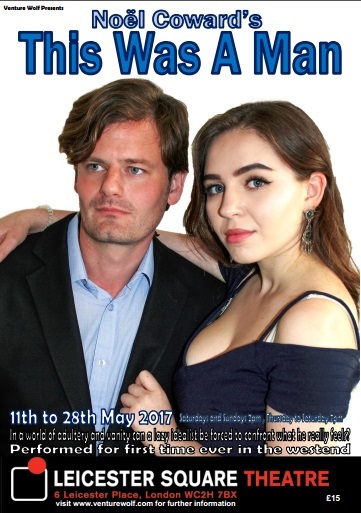 The one of show feature short plays by emerging writers, singing ensembles and the beautiful melodies of singer Helena Francesca. Average job, average life, David is bumbling his way through life in a general state of apathetic self loathing. 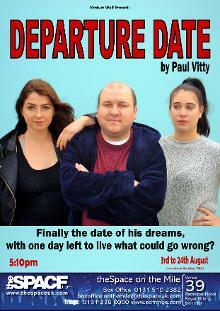 When a letter arrives late from the hospital his world is thrown into chaos, he only has a day left to live! With nothing left to lose he invites the office stunner for a date. As time runs out, can he find the courage to seize his last chance for love? With the help of his self absorbed sister, a drunken best friend and an aggressive prostitute what could possibly go wrong? Following its sold out previews in the West End Lipstick and Scones has been confirmed for a three week run at the Edinburgh Festival 2017. A family feud. A marriage in jeopardy. A kingdom on the brink. When Imogen defies her father Cymbeline, the King of Britain, and marries the poor Posthumus, the Kingdom in thrown into turmoil. Cast adrift in a dangerous world with violence lurking on every corner, can Imogen survive the machinations of a scheming seducer, a wicked queen and an invading army to reunite her fractured family? 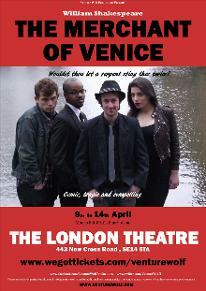 Venture Wolf’s high-octane version of Shakespeare’s rarely performed romance comes to The London Theatre, May 2016. 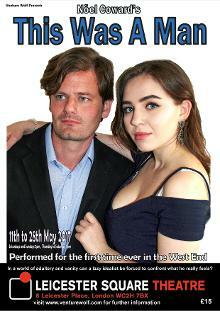 Starring Sinead Davies, Jim Chadburn and Roger Sansom as Cymbeline, King of Britain. Cast includes Teddy Corbett, Darren Cullen, Kristin Duffy, Tristan Hyde, Jessamy James, David Moss, Will Richardson, Aizaac Sidhu, Donna Marie Smith and Simon Wilshire. Fame. Glory. Power. Most people spend their lives failing to hit these heights but when you achieve everything before turning 21 what is there left to do? Having faced down plots, rebellions and power struggles whilst only a teenager, King Richard’s command is absolute, but when the untouchable monarch is challenged by a childhood friend, who can he really count on? Reimagining one of England’s most controversial kings as a rock star dictator, Venture Wolf’s blistering new production of Shakespeare’s Richard II production comes to the Network Theatre, Waterloo, March 2016. 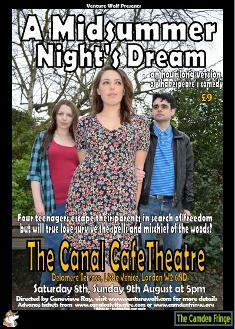 Starring Paul Vitty, Roger Sansom and AW King. 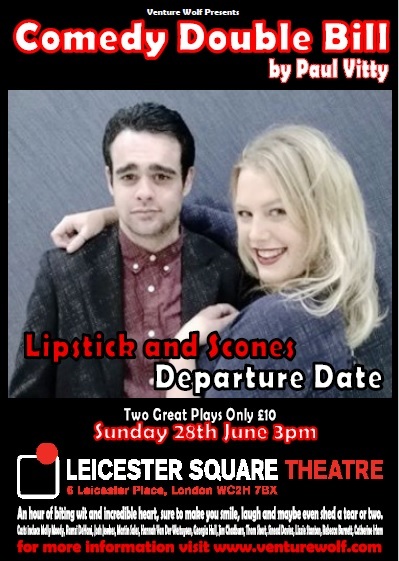 Co-starring: Matt Betts, Simon Gibbons, Tom Kelsey, Beata Kuzak, Natalia Marie, Alex Maude, George Michie, Rebecca Ormrod, Georgina Parren, Penny Peters, Stuart Scollen, Katie Stanway and introducing Ben Wills as Henry Bolingbroke. After a sellout debut in 2015 our comedy double bill is back! 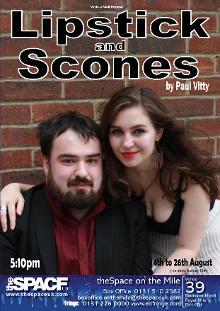 Lipstick and Scones will make you smile, laugh and maybe even shed a tear or two. Cast includes Daisy Watts, Asha Lane, Vicky Sargent. Josh Jewkes. 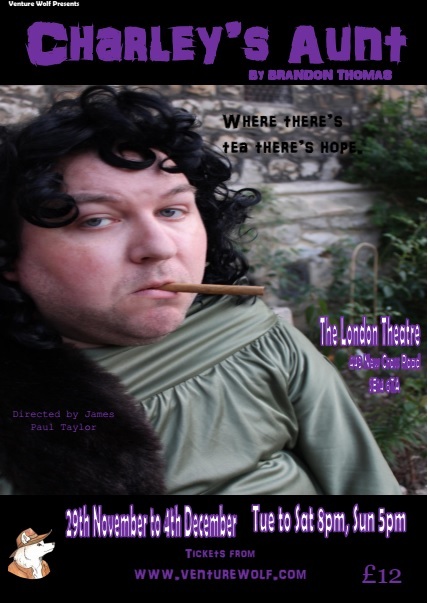 Cast includes: Rebecca Burnett, Jim Chadburn, Sinead Davies, Turan Duncan,Tim Fordyce, Suzy Gill, Georgia Hull, Catherine Irlam, Martin Sales, Vicki Sergent, Thom Short, Donna Marie Smith, Ian Springer, Lizzie Stanton and Christine White. When Edward inherits the throne from his stern and all conquering father, he is determined to rule his way. To the horror of the lords and bishops he recalls his basely born male lover and demands even the proudest should stoop before his favourite. With a young son to protect, Queen Isabella finds herself ignored and humiliated by her erratic and emotional husband. Will Edward’s actions push her into the arms of the power hungry and rebellious Mortimer? Marlowe’s action packed thriller brings to the stage England’s most notorious monarch. Obsessed with his desires and disinterested in duty, the country is collapsing. Foreign powers stand on the verge of invasion as the nation's leaders are locked in deadly hate. Can you stay loyal to your king when he may destroy the country you love? Does monstrous treason become the only option? Will revenge, murder and rebellion leave Edward in a daily diet of heartbreaking sobs? As the rebels take arms, the country is led into a land as yet unknown. Marlowe’s provocative and profound play asks us ‘What are kings when regiment is gone, but perfect shadows in a sunshine day?’ Venture Wolf presents England’s most mesmerising monarch, infamous Queen and greatest traitor in a dangerous tale of power, loyalty and lust. Was there ever such a thing as an honest politician? Frequently dismissed as hypocrites, liars or simply idiots, our MPs are rarely trusted and frequently seen to be out of touch but Robert Chiltern might just be the exception. 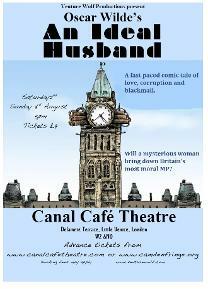 Idealistic, charismatic and blessed with an apparently perfect family life, Robert has cut a swathe through the House of Commons but Parliament can be a dangerous place and when the conniving Mrs. Cheveley enters the political arena Robert’s world comes crashing down. 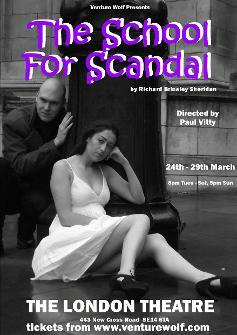 Will Robert be able to save both his morals and his marriage or will his career become just another political scandal? 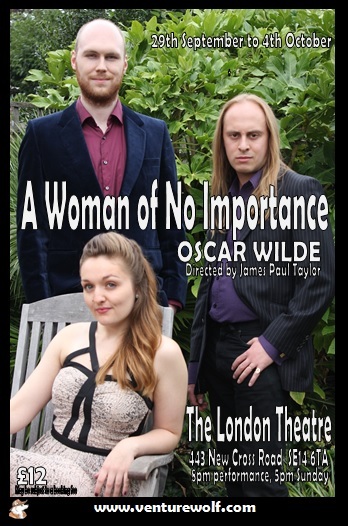 Set in an all too recognizable Westminster world, Venture Wolf Productions is proud to present a new version of Oscar Wilde’s classic comedy An Ideal Husband for the 2014 Camden Fringe. It’s the mid fifties, society is trying to find itself, what should be a time of peace is shook by rebellious new attitudes. Why should the traditions of the past dictate the generation of today? 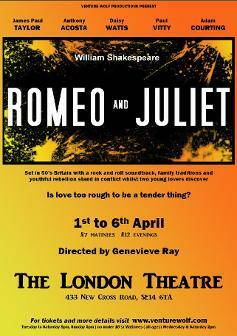 Set in an era where family traditions and youthful dreams stand in conflict; Venture Wolf present an action packed, funny and tragic new production of Shakespeare’s classic romance.With a rock n roll soundtrack the Montague boys hit the town and cause havoc at Capulet’s sophisticated party. 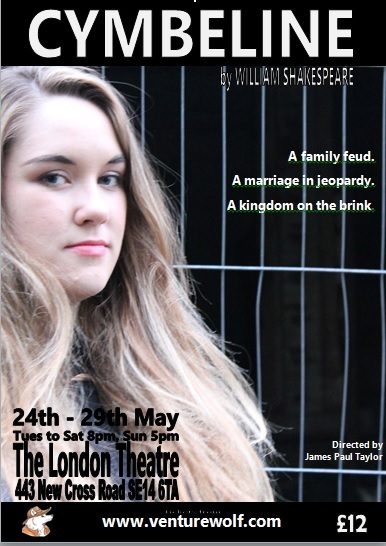 Old rivalries return to the surface and playful masculine violence spills to the street, will two young lovers desire for each spiral the battle between families into a dangerous game of life and death? Two volatile young leaders Tybalt and Mecutio locked in conflict seek to establish their own identities. Traditional values are directly challenged by a youth that refuses to be bound by their parents’ rules. Society’s control is slipping as neither young nor old understand the tense new world around them. In the midst of all this can two teenagers escape and find solace and in each other’s arms? In a town where oppression and fighting are rife can love ever be tender? As generations, and families seek to assert their control over an ever changing world will love prove too rough, too rude, and to boisterous to survive? Cast includes Charlotte Warner and Emma Gonnella with Adekali Turay, Catherine Irlam, Cheryl Prime, Gemma Carter, Sinead Davies and Tori Louis. This autumn sees friendship and honour clash as loyalties are shattered in a dangerous political world. Military hero Julius Caesar is unchallenged ruler of Rome, dictator in all but name. The people love him for his famous victories and apparent benevolence but behind the scenes powerful Romans are beginning to think twice. When the ambitious Cassius and the honourable Brutus, Caesar’s oldest friend, decide to take drastic action the lines between villains and heroes begin to blur. 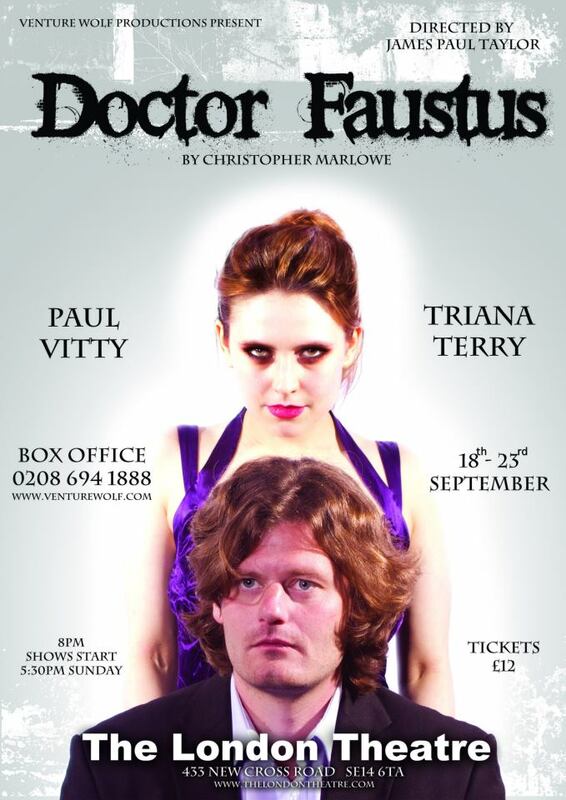 From the director of our 2012 Product...ion of Doctor Faustus. 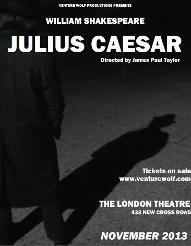 Following our celebrated sold out spring production of The Merchant of Venice Venture Wolf are pleased to be returning to The London Theatre with one of Shakespeare's most infamous plays. 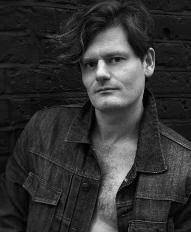 and Adam Courting as Mark Antony Also including Anthony Acosta, Nick Leonard, Jack Rosecroft Blake Crimson, Nicola Westwood and Donna Marie Frances Smith as Calphurnia. Othello, a noble General, decides to over-look his good ‘honest’ friend Iago for the position of Lieutenancy. Offended by this, Iago seeks justice by manipulation and exploiting insecurities. Can love and humility prevail over doubt or will they both become two sides of the same jealous monster? 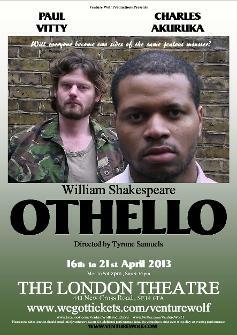 Othello takes you on an intimate trail of identity, reputation and jealousy that battles against love and desire. Come and see if ‘the outward action doth demonstrate the native act’ this spring. This spring revisit Shakespeare's classic tale of Greed, Power, Passion and Revenge. Young and impulsive, Bassanio is certain he can prove himself and win the heart of the wealthy Portia. Yet saddled with debt he can’t even get to see her. When his oldest friend Antonio offers to borrow the money for him, they have no option but to turn to Jewish misfit Shylock. Bullied and persecuted by them both, failure to pay will give Shylock the opportunity to demand his pound of flesh and enact ultimate revenge. In this world of men and money can the beautiful Portia outwit them all to find love and stop a murder? Comic, compelling and tragic, The Merchant of Venice is a thrilling journey of love and betrayal where the lines between justice and vengeance are blurred. Sweet, beautiful and very dumb, poor Sinders has a problem; a year after her wedding she still hasn’t been on honeymoon, in fact the Prince seems to be more interested in looking at himself than his new bride! With the outrageous ugly sisters determined to steal him for themselves will Sinders ever find happiness? Thankfully the Prince’s mum is on hand with a cunning plan. With the alcoholic fairy and sexually confused Buttons to help, what could possible go wrong? Join Sinders and the Gang as they pack their bags and all head off to sunny Spain for a wild and rude drunken dash for fun and fortune! After last years production was praised by the critics as ‘laughs throughout’, this December why not treat yourself to a naughty bit more? With audience participation, sing-a-longs and risqué humour, prepare for a brand new big adult panto! Charles Akuruka, Chloe Badham, Emily Skaret-Ball, Mick George, Callum Lewin, Tyrone Samuels, Natasha-Maria Smith and James Paul Taylor. Faustus begins his studies with a burning ambition for knowledge but he soon realises that his university learning is no more than drudgery and external trash. He wishes to live and die in knowledge yet his academic studies have left him frustrated and angry. Why can't he use his mind to create something that would last forever? Would you sell your soul if it could free your mind? To not just have control over emperors and lovers, but to have greater knowledge and power than any man that has ever lived. For a life of unlimited pleasure and power can Faustus defy God and change destiny? 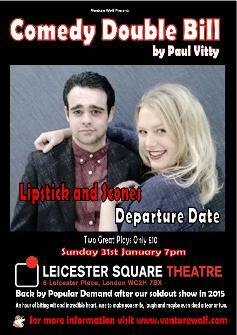 Cast includes: Paul Vitty, Suzanne Goldberg, Donna Smith, Bradley Adams, Nicky Diss, Nicola Westwood, Sarah Morgan and Callum Lewin. As the war ends, Hecuba, once a queen, is now a slave, her nation destroyed and the men all butchered. The maids of Troy, dismissed as mere trophies of war, await their cruel fate. In these strange times when friend turns traitor, revenge becomes the last hope left. In a world dominated by men, can these women, united by their courage, overcome their new masters and wreak vengeance on this vicious treachery? Venture Wolf Productions invites you into an intimate world, where you can hear every breath and feel each haunting glare. 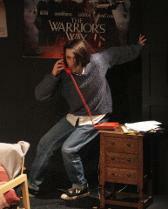 Directed by Paul Vitty, Hecuba promises to be an intimate and intense evening of fury and heartache. Life for Charlie should be pretty good; a new date on the horizon and he's finally escaped his over-bearing family. However, he has one problem, he's broke. With no money to pay the rent, he must think of a new scam quick. His flatmate Rupert Debussy, a bitchy alcoholic failed actor offers little help. The surprise arrival of his prudish bossy big sister threatens to throw all his plans into chaos. Perhaps a naive student could be the answer to their problems! Why is Rupert being so neurotic? Can Charlie get ri...d of his sister? And is his mysterious femme-fatale date all that she seems? Directed by Donna Marie Smith . Sweet, beautiful but very dumb poor Sinderella is trapped in the home of her Ugly Sisters. Is the Prince really that charming? Will the feisty Fairy sober up enough to create magic? And will Buttons ever get laid? 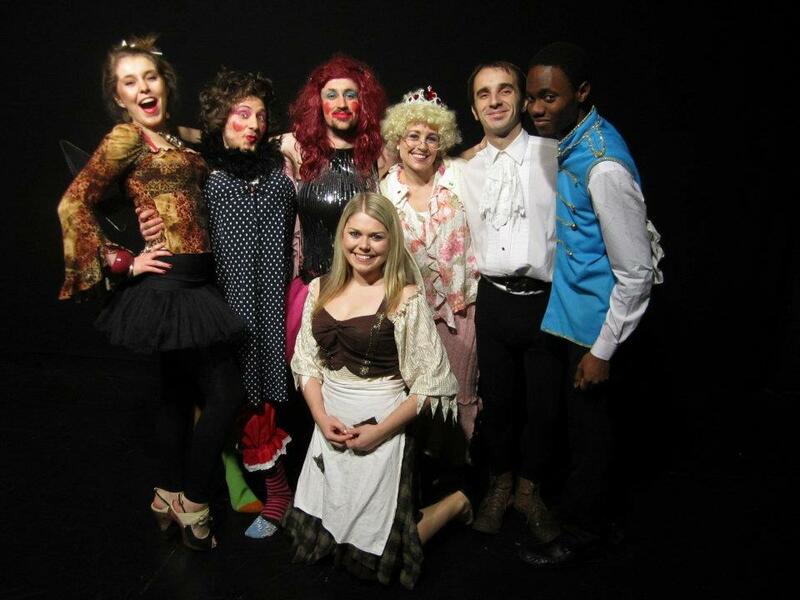 With audience participation, sing-a-longs and risqué humour prepare for a brand new big adult panto. Treat yourself to something naughty this Christmas.